Obama Adviser Valerie Jarrett Defends Joe Biden In Conversation About Her Memoir The longtime Obama adviser told NPR's Audie Cornish that former Vice President Joe Biden "got it right" when he said "it's important that men listen" in a wide-ranging interview about her new book. "I had the honor of working with Joe Biden every single day for eight years. And I have an enormous amount of respect for him," Jarrett said. "And I saw him be extraordinarily demonstrative to both men and women alike — and never did I take it as a sexual advance in any way." 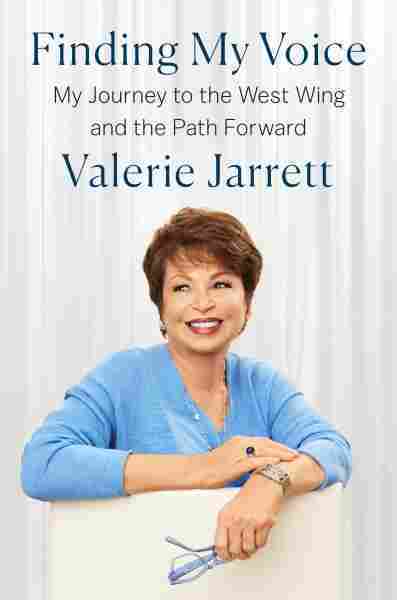 Jarrett made the comments during a conversation about her new memoir Finding My Voice: My Journey to the West Wing and the Path Forward. In addition to weighing in on the #MeToo movement, Jarrett discusses the legacy of the Obama administration amid today's politics — and also recounts meeting Michelle and Barack Obama and working as a single mother. 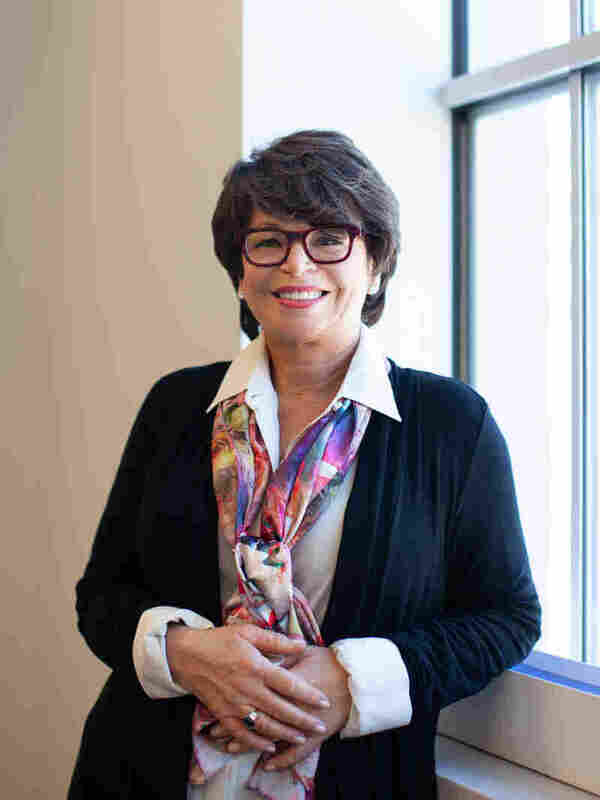 She reflects on how her early childhood in Iran shaped her: Her parents moved there in 1954, before she was born, so her father could pursue a better job opportunity, and avoid the discrimination he had encountered in the U.S. There, she says, he "ceases becoming just a black physician ... he really became an American physician." For me, spending my formative years in a very cosmopolitan hospital compound with physicians from all over the world, and children from all over the world, taught me so much in terms of my ability to walk in a room and communicate and find something in common with just about anybody. I played with children where we didn't even speak the same language — and that's part of how I learned to speak Farsi and French and English ... that's what my classmates and my childhood friends were doing. And it also gave me a perspective on the United States. Sometimes those of us who've never left take the privileges that we have for granted here — and it's everything from clean water and food to civil liberties. And I also think it taught me that the United States may be the greatest country on Earth but it's not the only country on Earth — and we can learn a great deal outside of our shores. I think part of what struck me the first time I met President Obama and we had dinner, he started asking me, 'Well where are you from?' I said Chicago. 'Where were you born?' I was born in Shiraz. And I braced myself for kind of a big old conversation and he said 'Well, that's interesting.' And he leaned in and he started to tell me about his life in Indonesia and what he learned from that experience. And then I opened up more about Iran. And I think the lesson I learned in that is that our stories are important. They reflect who we are. And I spent so much time trying to pretend like I was like everyone else, when where I was different is my uniqueness. I think the culture of our country has changed and politics is a piece of that. But, more importantly, and I think we have an enormous debt of gratitude to the brave women in the #MeToo moment who came forward with their voices. And there is safety in numbers. And I think what men are recognizing is, it isn't just a matter of what their intent was. It's a matter of how was it perceived by the person. And if people feel that behavior is inappropriate, that is important to hear. And that the way our society and our culture will change is if we are listening to one another better — and if we are recognizing the impact of our actions on others. And so, I was heartened to see [former Vice President Biden] acknowledge that over the weekend and say we have to begin listening. And I agree. Time is up. The great part about our democracy is every voter gets to decide that for themselves. She gets to decide. I get to decide. You get to decide. We all get to look at the facts and see them through the lens that is valuable to us and then make decisions accordingly. And all of the candidates who are running run on the record and they run on their vision for their country. And one of the things that President Obama used to say, I remember in the early days of Iowa, is that "Look, you have to earn it." You have to be willing to let people come in and see you, your faults, your weaknesses, your strengths, your vision, your track record, and then they get to make the decision — and we have to put our trust and confidence in them. And the piece that I'm interested in, right now, which I want to return to is making sure that every American appreciates the importance of that voice and votes. And that's the minimum responsibility of our democracy is to vote. Then, how about get involved in your community? How about figure out how you can give back? How about considering public service? There's so many ways that we could all make our country stronger and make our country better. And exciting that passion particularly in our young people is something I care a lot about. 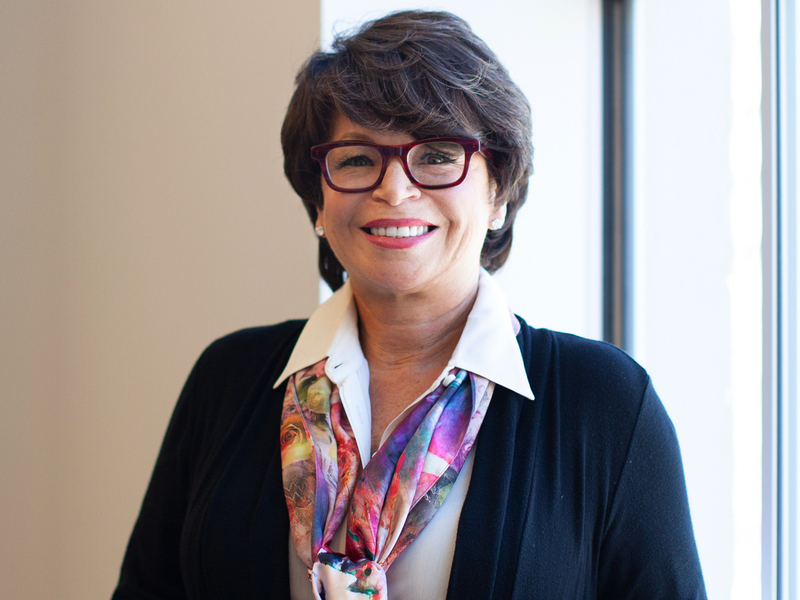 Valerie Jarrett, a former Obama administration staffer, has a new book titled, Finding My Voice. Well, I said at the time that, look, I am fine. I'm not worried about Valerie Jarrett. I think that that was symptomatic of a much bigger problem. And I'm worried about the people who aren't able to defend themselves. And the question is, when are we going to get to the point in our country ... where we're not talking at each other, we're not seeing each other through historic lenses of racism or discrimination, but we're taking the chance to actually listen and get to know one another, to put ourselves in the shoes of the stranger, to feel a sense of empathy and responsibility? That's where the racial healing comes from. I think that's historically quite true and I think what President Obama did was to demonstrate through his actions that he was as interested in what the most junior staff person in the room had to say, who had a good idea, as he was in anything I had to say. And he had a management style that was devoted to bringing out what everyone thought, knowing he would make the most informed decisions if he listened to people who had different perspectives. If someone disagreed with him they got the full Obama body language, leaning in and saying "tell me why." And making them feel comfortable and giving permission and one of the management strategies that I learned early in my career that I certainly saw him put into place in the White House is that to get the best out of people, people can't think that the deck is stacked and that one person has greater weight than someone else. And I think he made it very clear early on, and it helped my relationship, frankly, for him to show that he cared what all of us had to say and that merit was his interest, not a pre-existing relationship. I simply went into [the White House] job as I have all my jobs since I was a young working mom from the perspective of what would have been helpful to me. When I was a young single mom, I thought, well, if I just worked harder, if I were smarter, if I were better organized, more efficient, slept fewer hours, maybe it wouldn't be so hard. And, I think, what I began to appreciate was — no, it's just hard. We're the only developed country in the world that doesn't have a paid leave policy. That's outrageous if we want to compete globally for talent. Sick days. Workplace flexibility. I remember when I was a young working mom, if I didn't show up at my daughter's Halloween parade nobody would show up [for her]. And so giving people the ability to adjust their work schedule to those needs is important. Affordable childcare is also a very important factor. And we held summits to focus on the policies and the practices that allow working families to thrive. And it's some of the proudest work that I worked on while we were in the White House. Well, I think about it from the perspective of the lives of the American people who will be affected by those changes. ... I am hopeful that the American people speak up the way they did when two years ago there was an effort by the Republicans to repeal the Affordable Care Act and their voices were heard and it was not repealed. Right now the Republicans in Congress are saying why are we talking about the Affordable Care Act again. You could say, in part, why they lost the midterm elections is that they were threatening to take away this very valuable benefit from the American people. But the point I'm making to you is: I don't look at it from the perspective of our work being undone. ... I look at it from the perspective of what impact that is going have on the people who were benefiting from those programs. I think what President Obama did, which I encourage all the candidates to do, is to take a view of our country that's inclusive — where you reach out to everyone, where you are honest, and open, and authentic with everyone — and that you appeal to what's good in each other and focus on what we have in common, and not polarize our differences. I think that still resonates with people across the country. And I spend a lot of time now outside of Washington in communities all over this great land and I see the ability of ordinary people to still do extraordinary things — and that they are counting on their elected representatives to appeal to them and focus on their lives. Politics should not be about the politician. Politics should be about service. And people recognize and they can see through, in many instances, where people are not authentic.